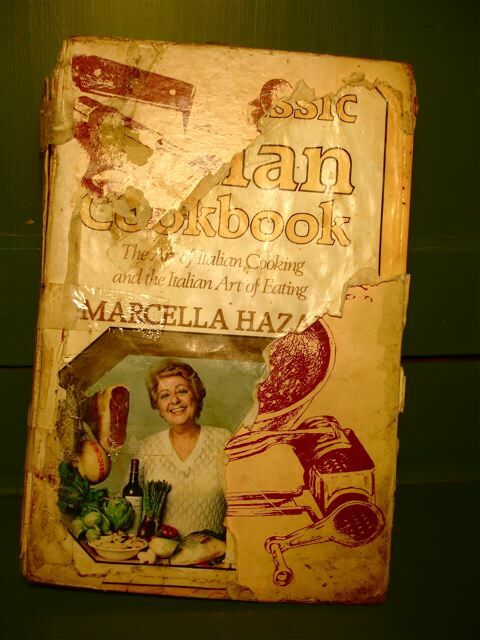 Lunch today is an homage to Marcella Hazan who has died at home in Florida aged 89. She was in the line of Julia Child and Elizabeth David–self-taught talents who were cooks rather than chefs. 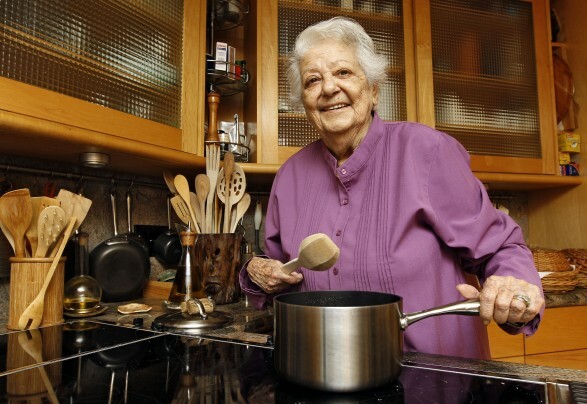 Born in Italy, she settled in America with her Italian-American husband, Victor, confessing to no experience in the kitchen–only the memory of the smells from her Grandmother’s kitchen on the east coast of Italy. She learned fast, built a repertoire of recipes and started running cooking classes in her Manhattan apartment. One day American food writer Craig Claibourne came to lunch. 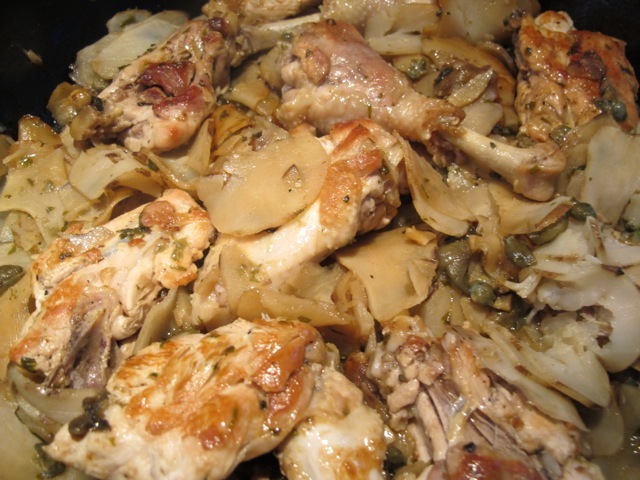 Her cooking was classic Italian, recognising the strongly regional nature of that cuisine. She wrote in Italian–husband Victor translating–and she never lost her Italian accent. An exigent cook by some accounts (so was Elizabeth David), “tough” was how she described herself in a late interview with Mark Bitman (another hero). Her cook books are extraordinarily comprehensive and, like Elizabeth David’s, readable. 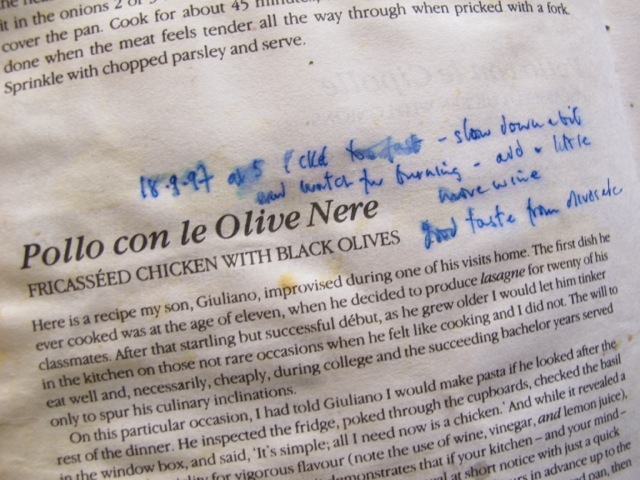 The recipes feel authentically Italian. 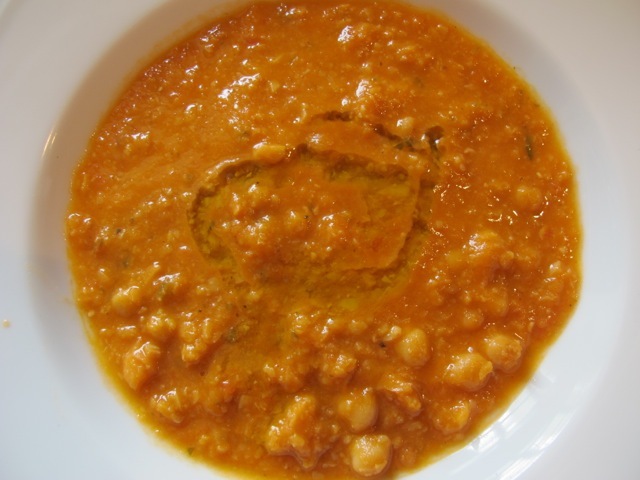 Authentic and simple best descibe her cooking, with roots in the kitchen of her nonna, in the village of Cesenatico in Emilia-Romagna, about 120 miles south of Venice. She has inspired me for nearly 40 years. I love my well-thumbed, stained, patched-up copies of her books. 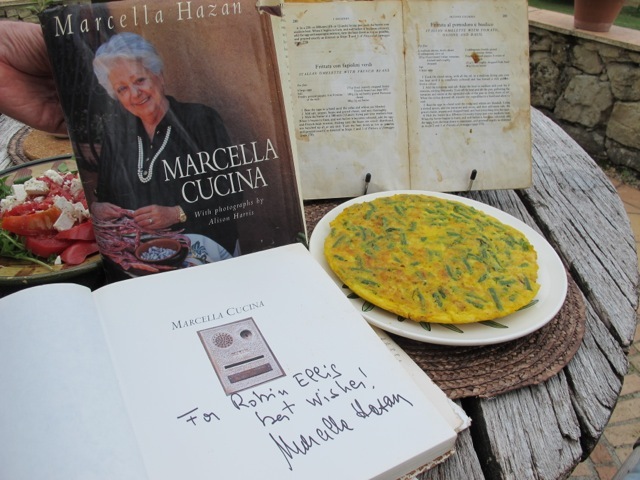 My friend, Marc Urquhart, who knew of my passion for her recipes, surprised me with the gift of her cookbook that he specially arranged to have inscribed by her. Grazie tanto, cara Marcella, for the many hours I’ve spent cooking with you in the kitchen and sharing your food ’round our table. Easing back into the flow and with one foot–so to speak–still in Italy, I go to my comfort zone for guidance and authenticity. 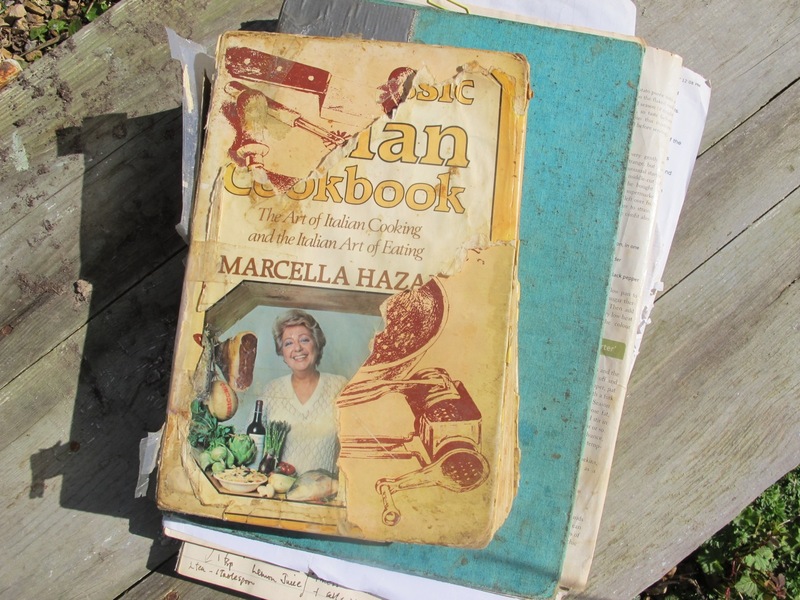 Marcella Hazan’s first cookbook–still usable, though much patched-up and thumbed. She doesn’t purée this nourishing and warming soup–though some do, she says. I’ll go with roughly 1/4 whole chickpeas to 3/4 puréed. I’ve also added a hint of fire! A couple of small dry red chilis left in the cooking tomatoes for five minutes and then fished out; or leave them in–but careful you don’t swallow them later. I’ve used twice the liquid she suggests. Italians like to eat their soup almost solid. 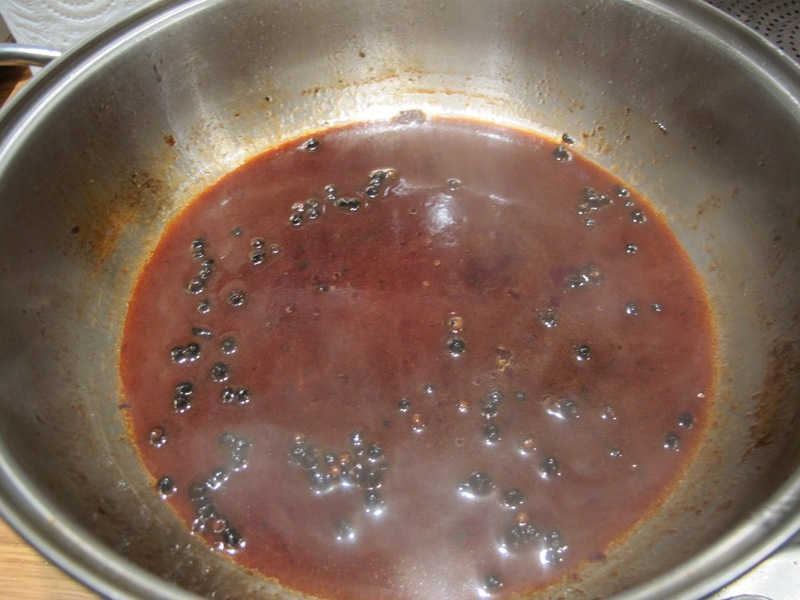 Heat the oil in a large saucepan and sauté the garlic until it is well browned. Take it out; it’s job–infusing the oil–is done. 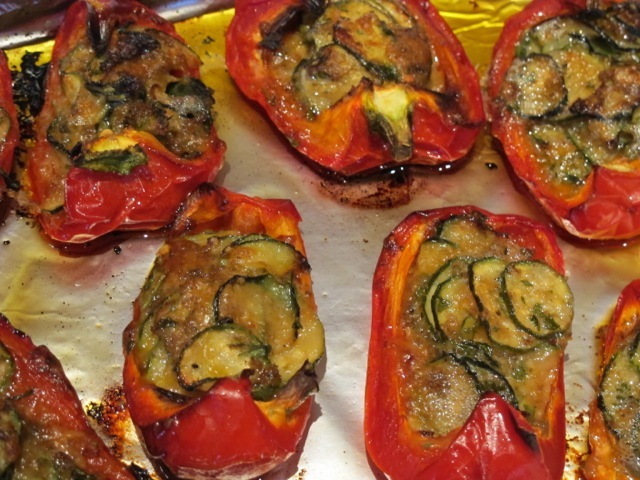 Throw in the rosemary and stir once, then add the tomatoes with their juice. 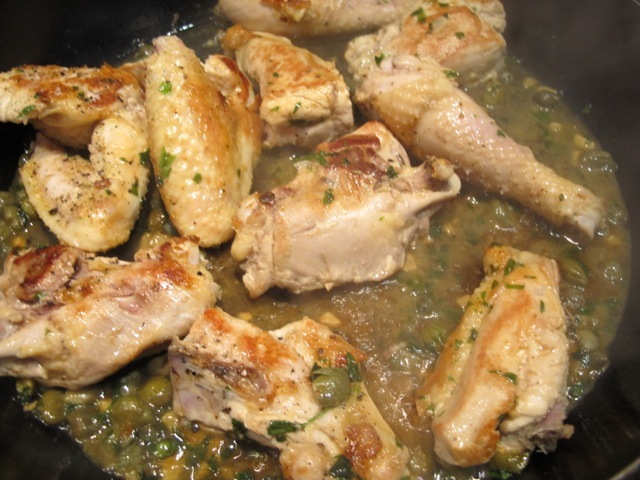 Cook these down to a sauce–about 20 minutes, stirring often to avoid it burning. 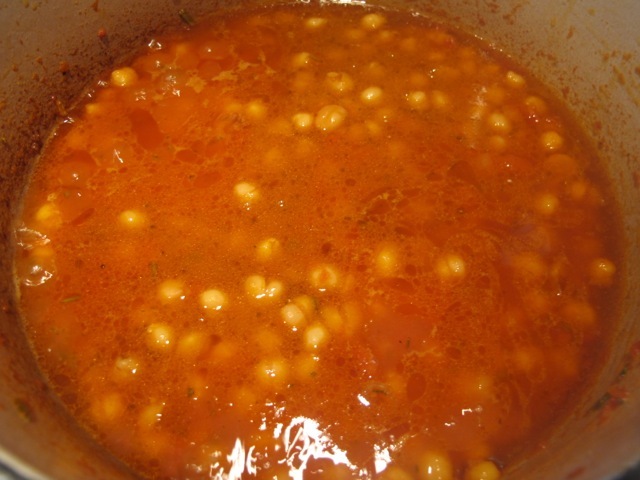 Add the chickpeas and stir these around for five minutes to inform them with the tomato sauce. Add three-quarters of the stock and stir it in. 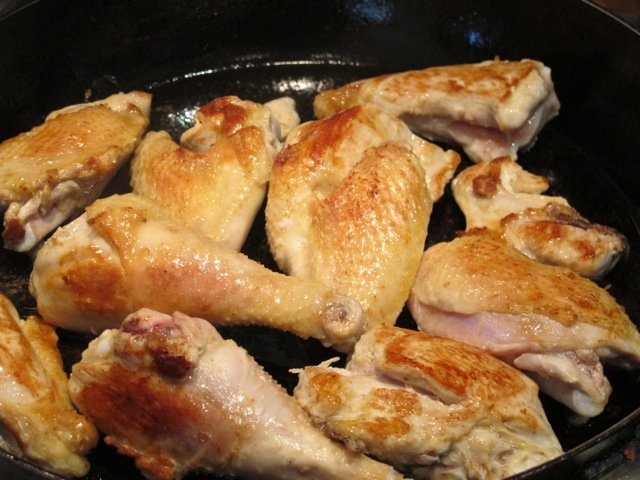 Cover the pan and cook for fifteen minutes. Take off the lid, stir well and taste for salt. Add more stock if you like. Serve it piping hot with a swirl of best olive oil. 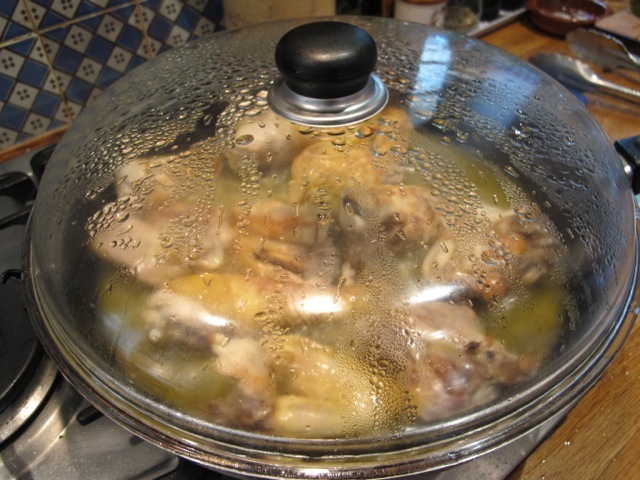 This is smelling mighty good at this moment–gently simmering on the stove. 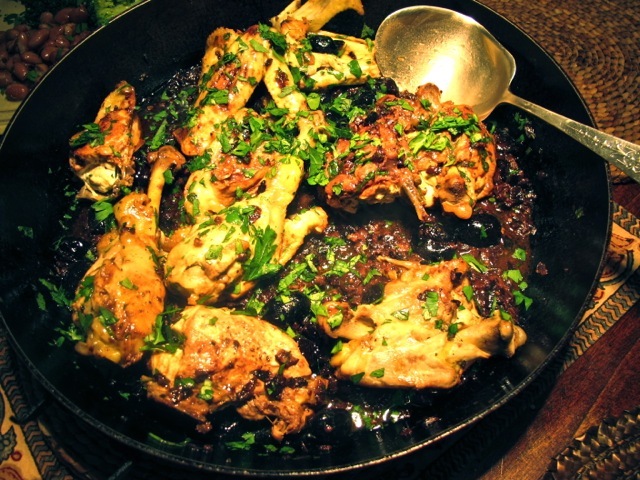 A dish I’d bet Marcella Hazan ate regularly at this time of the year growing up in Senatico on Italy’s northeast coast. 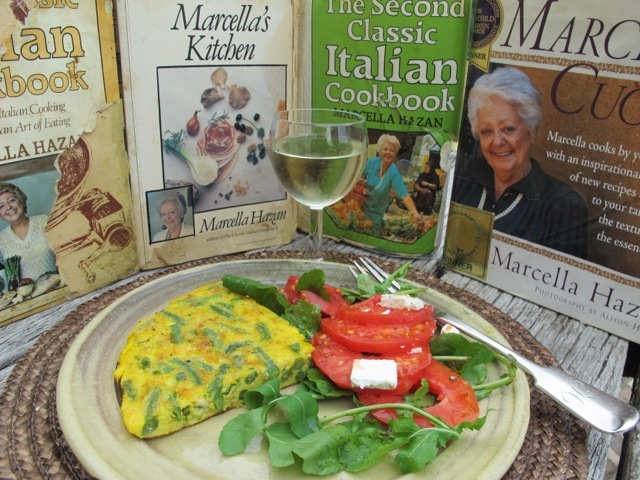 Marcella is one of my heroes/mentors–though she doesn’t know it! She married an American and left home with him to live in New York City in her early thirties. She claims she had never done much cooking before this–the family meals were cooked by her mother, her grandmothers, aunts, the usual story of an extended Italian family. Living with a new husband in a foreign land concentrated her mind she claims and she taught herself to cook. She says she remembered the way dishes smelt back in Italy and used this sense to judge if she was doing it right. No memory of Grandma’s cooking for me but from the smell that’s wafting my way, things seem to be on course! She cooks Italian/Italian not American/Italian and her books are wonderfully detailed. 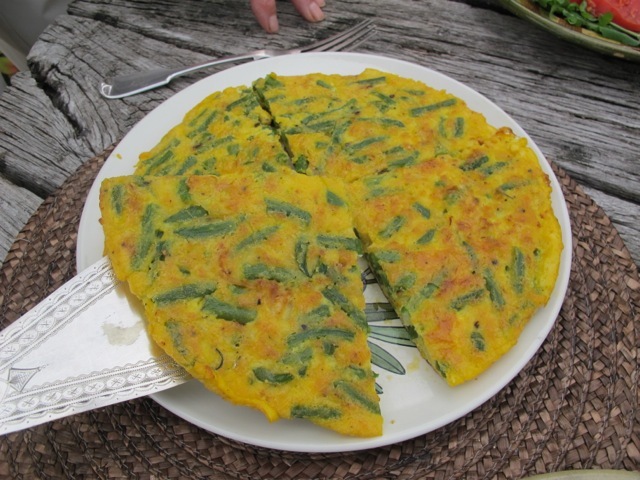 There are just three ingredients here apart from olive oil and salt. It’s a long slow cook. 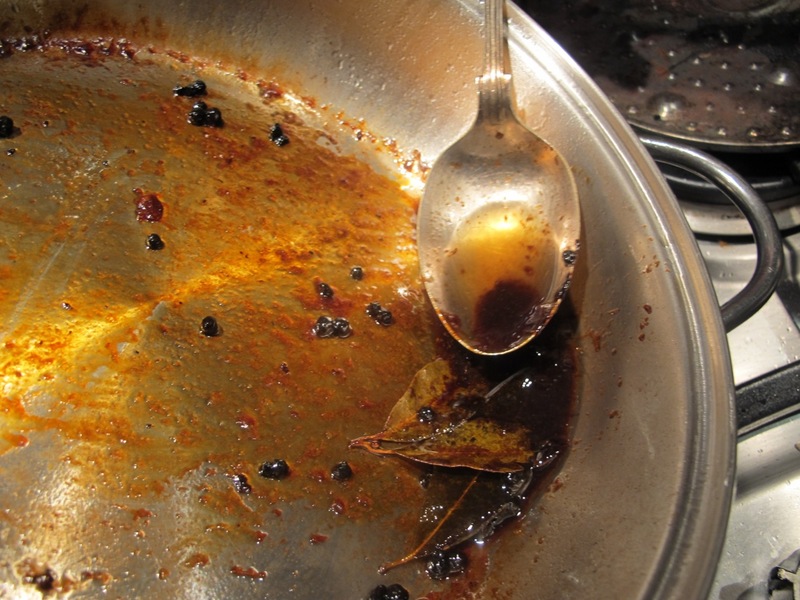 Heat the oil in a solid pan with a lid. Sear the meat (brown it) all over then salt it. 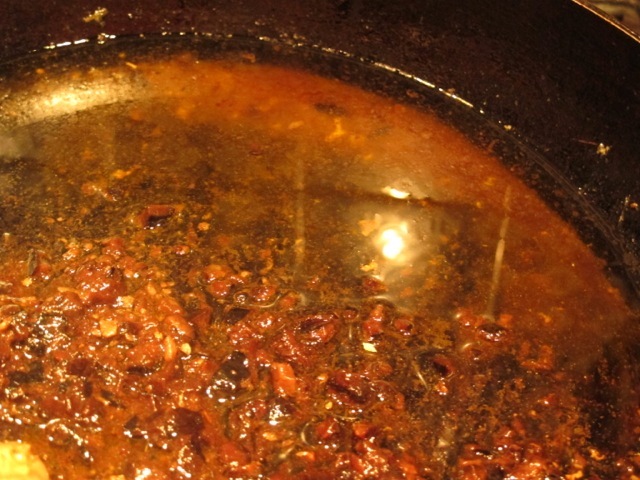 Add the bay leaves, peppercorns and vinegar–and cover the pan tightly. It’s important not to loose too much liquid. Cook for an hour and half or longer, on the lowest heat possible*. Take out the meat and keep warm, covered with foil. Carefully spoon off the fat. 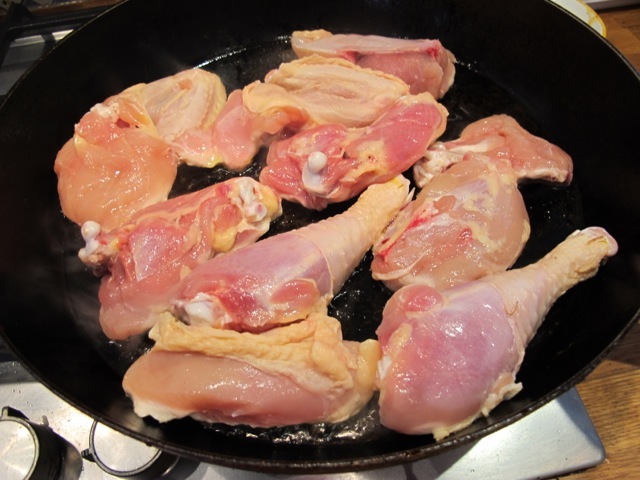 Add three tablespoons of water and scrape off the bits in the pan. 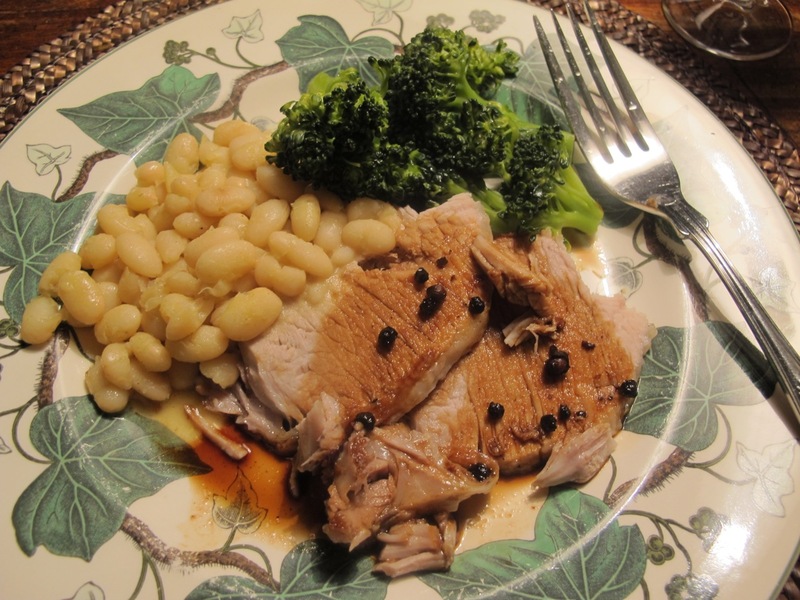 *I cooked this tonight for two hours; it was good but next time I’ll reduce the time a little and use a diffuser. Meredith reminded me about this pasta a couple of days ago. 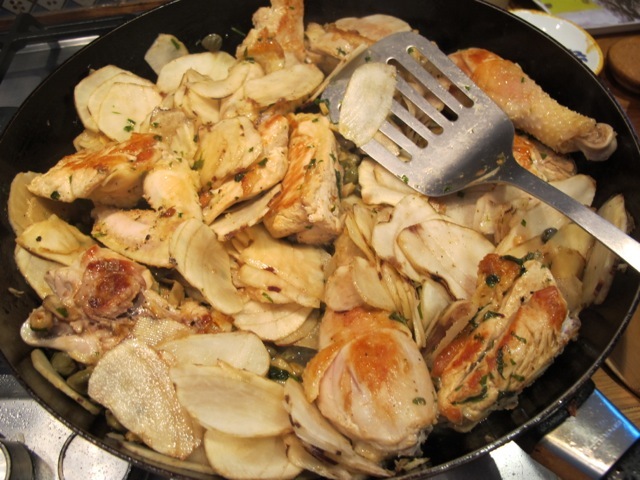 Our friend Hilton introduced us to this dish years ago (like me, he too is a fan of Marcella Hazan). 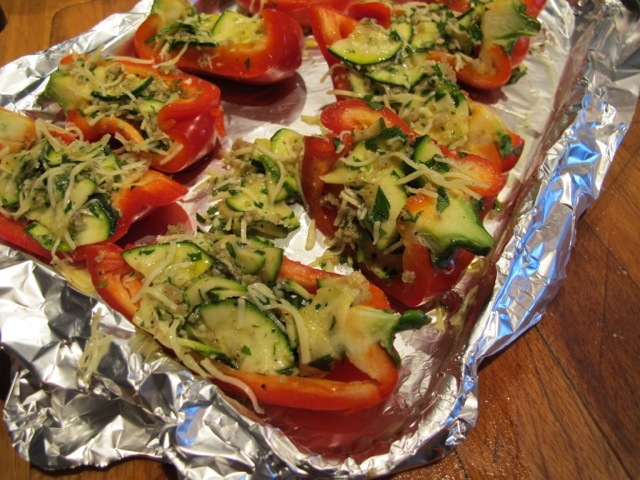 My version is a slight twist on her original–(using olive oil instead of butter and adding the lemon zest). It’s the quickest, delicious pasta I have ever had–and so simple! The sauce is made in 5 minutes while the pasta is cooking. 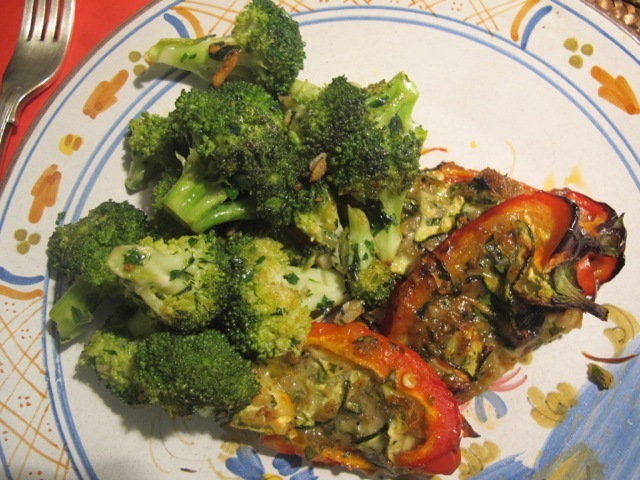 some chopped parsley to add at the end–for the look. Cook the spaghetti in the salted water until al dente–or to your taste. 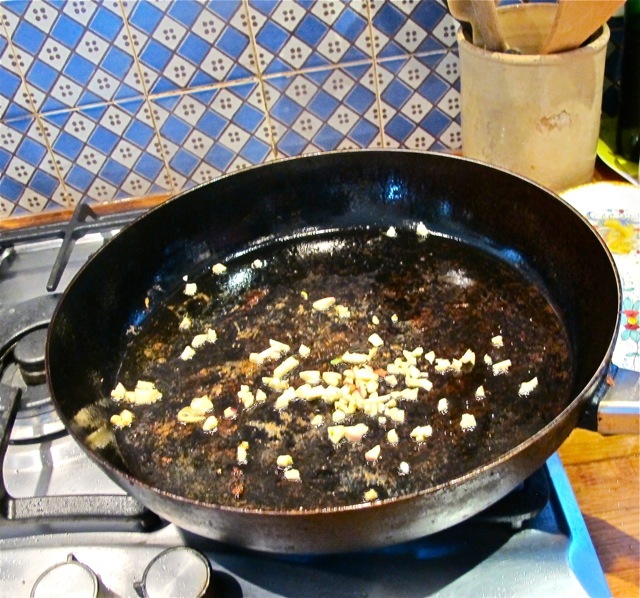 Meanwhile heat the oil in a small sauce pan and on a low heat cook the rosemary and garlic until the garlic begins to colour–about 5 minutes. 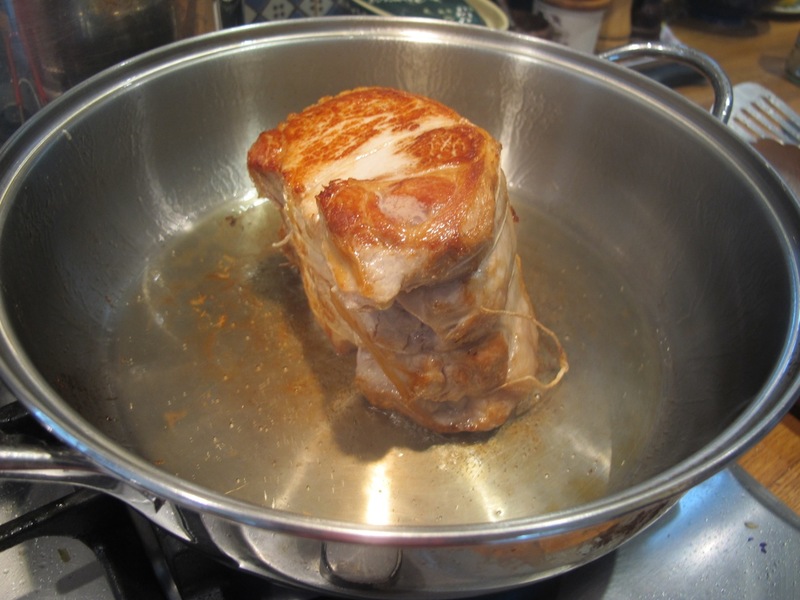 Add the crumbled stock cube, stir thoroughly–and turn off the heat. Drain the pasta and put it in a warm bowl. Strain the oil through a sieve and add it to the pasta with the cheese. 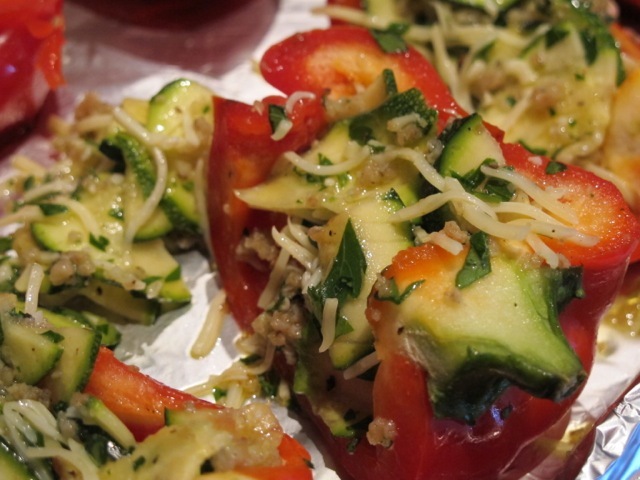 Turn it all over to coat the pasta with the oil and sprinkle the lemon zest and parsley on top. 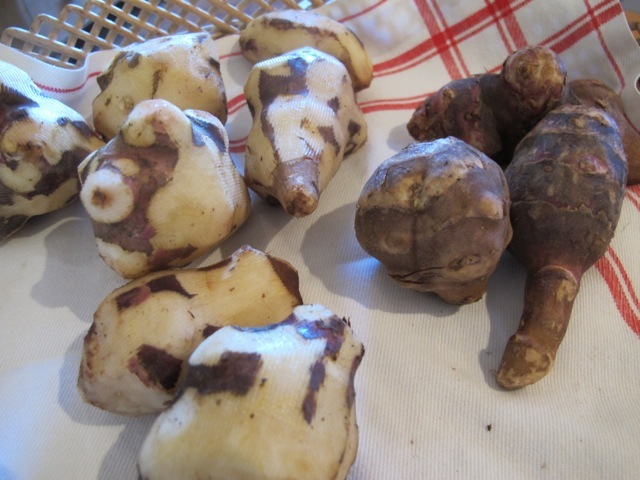 We picked the not-too-brown garlic bits out of the sieve and scattered them over the pasts too!